We often get calls or emails asking, Is my Watermaid cell working? There are a few quick things that you can do to try and get things working before you spend money on parts or a service call from your pool professional. On the Watermaid box that hangs on the wall. What lights are on ? 1/ unplug the brass plug at the top of the cell. Clean the brass pin with emery cloth or fine sandpaper. Clean the socket that the brass plug goes into as well. 3/ follow the grey cable to the bottom of the power supply box that hangs on the wall. Remove the single screw in the little black plastic cover that goes over the grey wire at the box. Check the brass screws for corrosion and make sure that they are tight. These 3 steps fix 90% of the problems with the cell. If you start your Watermaid system up and you don’t get a flashing yellow light. If you turn on your Watermaid system and the lights go up to the green LED’s there are a few things that we need to do to make sure that the cell is actually working. In 2007 and 2008 there were 2 programs that the Watermaid chlorinator could be set to. One simply turns on the LED’s, on the front of the power supply, to match the production level set. The other mode will measure the current flow between the plates in the cell and display this amperage as a percent via the LED lights on the front of the power supply. If the Yellow light on the Watermaid display flashes when the plug on the top of the cell is pulled out, plug it back in again and then push the + key until the production level is set to 100%. At this setting, you are asking the unit to power the cell up to 30 amps. If the salt level in the pool is proper (6000 parts per million) AND the pool is a reasonable swimming temperature, the lights should go up to 100% and stay there. We often have problems with pool stores telling Watermaid customers that the salt level in the pool needs to be around 3000 parts per million. That is not the case for a Watermad system. The cells on a Watermaid chlorination system were designed to run at 6000 parts per million. The cells are good quality and can take the extra load of the higher salt level. I have another post that talks about Why Watermaid units run at a higher salt level but for now lets make sure that the salt level is correct. If the salt level is too low, the lights won’t go up to 100%. as an example, if you only had the salt level at 3000 parts per million when it should be 6000 parts per million, the green lights would only go up to 50%. In this case, you simply add some more salt. I would suggest that you add a bag or two, wait for 24 hours to let the pool stir up the newly added salt and then check the lights again. You will see an extra light or two and from this you can determine how much more salt is needed. when you have added enough salt to get the cell lights up to 100% you will be at 6000 parts per million. There are a couple of cautions that you must be aware of. 1/ When a cell gets old it doesn’t just fail, the production starts to fall off and over a few months it will slowly get worse and worse. If you add more salt, you can get the production of the cell back up again but when you finally replace the cell, the salt level will be too high and the unit will shut down and turn on a red solid light. 2/ If the water was really cold the lights wont go up to 100%. 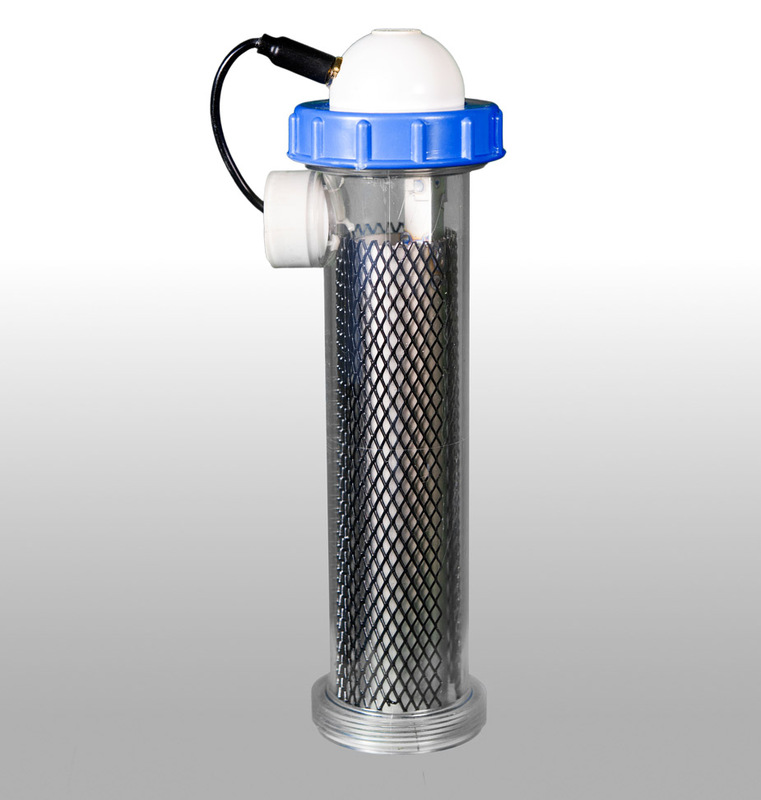 The watermaid unit unlike other chlorinators can be turned on at any temperature without damaging the cell. Once again If you add more salt, you can get the production of the cell back up again but when the water warms up, the salt level will be too high and the unit will shut down and turn on a red solid light. 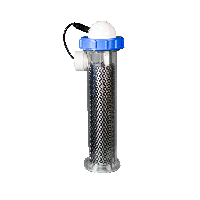 If there is ever any question about the cell or the water temperature, take a water sample to your local pool store and get the salt level tested. Remember we need it to be 6000 parts per million.